Division: Select one of the options from the dropdown. Theme: Select one of the options from the dropdown. Additional Focus Areas: This section allows you to select Community Health, Global Health, or Nursing for related activities and events during Research and Education Week. Please note that your abstract will not be judged on any of your selections in this section. 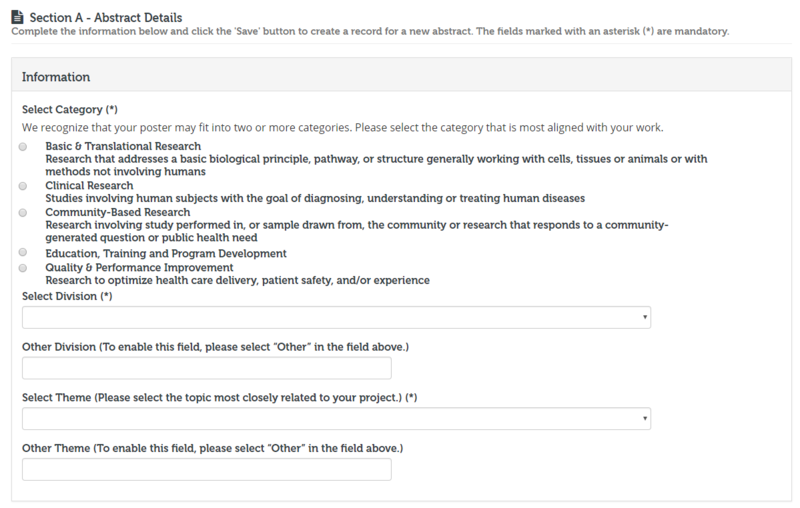 Project Support: List any department or grant within the hospital or research institute that supported your project. Abstract Details: Enter the title and body of the abstract. The body includes the background, objective, methods/design, and results/discussion. All sections must be completed in order for you to submit. The body of the abstract must be 300 words or less. You must list all authors in order as they will appear on the poster. 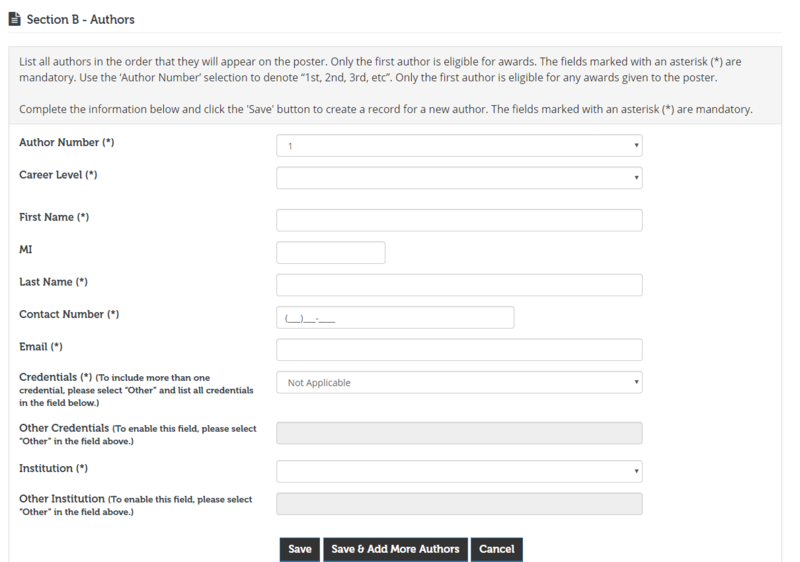 Please remember only the first author is eligible for any awards given to the poster. Q: When is the latest I can submit my abstract? A: Our team cannot accept any abstracts or abstract changes after January 11, 2019. The process for our team to review, organize, and publish the abstracts takes several weeks and each change after the application closes requires a manual change in all of the Research and Education Week materials. For this reason, we cannot make any exceptions. A: We hope to send out communication by the end of January or early February.